How to link your Facebook account to Twitter account. Hello friends Today we know that how to link Facebook or Twitter account together. when we link both account together then Facebook or Twitter automatically post your twitter twit to Facebook or your Facebook post to twitter page. 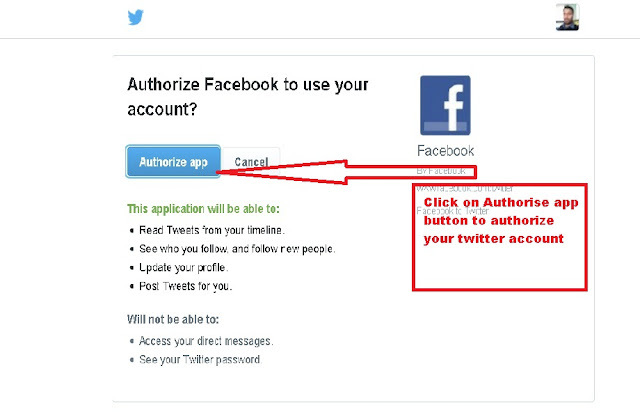 You have use this process, if you have not enough time to manage your both account. When you link both your post are posted both account automatically, and your both account is active without using another. So if you want to do this you can follow some steps to do this process. Now you are ready to do this process so first go to Facebook login. 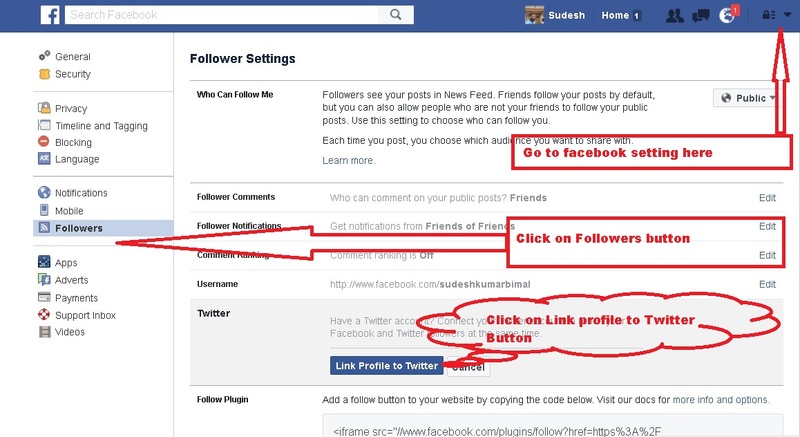 then login with your Facebook account. Then go setting when you go to setting there are many option you click on Follower option. when you go on Follower setting option you have found there Twitter option . On twitter option click on edit link. 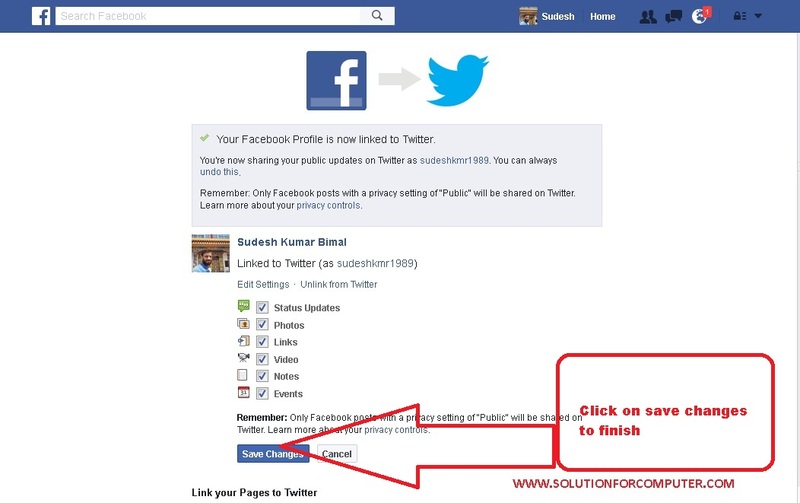 You Facebook Profile is now linked to Twitter. You are now sharing your public updates on twitter as 'your profile name' you can always undo this.